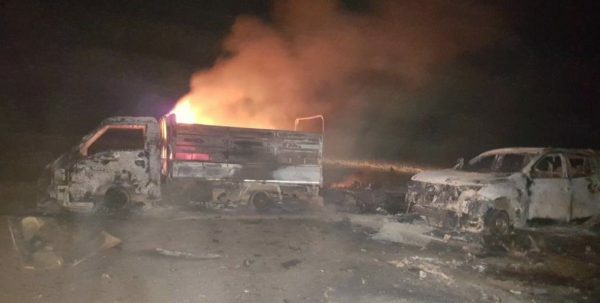 An Islamic State car bomb killed 20 people and injured 30 others at a site where displaced families are located in eastern Syria near the city of Deir al-Zor, Syria’s SANA state news agency reported on Friday. It said the bombing took place near the al-Jafra area, which is located south of the city and is controlled by the Syrian government. Daesh’s version of thanks for allowing some of their members to flee with their “families”.